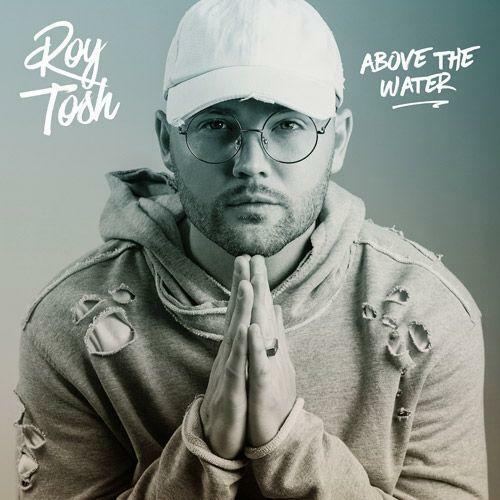 Tosh's latest album is “Above The Water” released April 20th, 2018. The album features Aaron Cole, V. Rose, and more. “Stronger” featuring V. Rose is charting on the “Hot Chart” at the #4 spot and is already close is 200k streams online. "Stronger" is also currently charting on the Billboard Christian Hot AC/CHR National Airplay Chart at #28. The video for his single “Never Too Late” also got picked up in stores at Journey’s as well as added to Music Choice, and other television networks! Roy Tosh is from Indianapolis, Indiana and unlike many artists releasing music wasn't the big plan for his life. In high-school the dreams were all about basketball, revelling in the limelight of his fame around the school both on and off the court. However after a God encounter Roy left the pursuit of the limelight through basketball and devoted himself to following Christ. Not having a musical background Roy "found himself filled with a message that poured out of his soul through Hip-Hop music." Since then he has used this God-given voice and worked alongside many high-profile Christian artists and also runs "CFI Ministries" which is dedicated to reach "just one more" with God's love through music and events. This is not Roy Tosh's first album though, in 2014 he released a free album called "The Revert" but it's been 3 years and there have only been glimpses of what Roy has been up to. Until the beginning of 2018 when in February he released a new single called "Never 2 Late" which also happens to be the first track from this album! 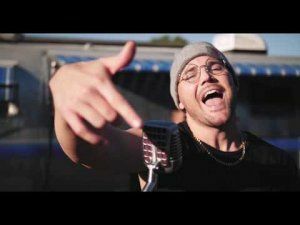 Roy Tosh is a hip-hop artist, but definitely on the softer side of that style spectrum with a lot of pop sounds. "Never 2 Late" is an encouragement to seize the day to work for what you should be doing, to be the best dad, husband, witness, to go after God with everything you have because everyday is an important day. "Real One's" has a nice laid back feeling to it, but reminds us about the value of true friendship. With a different feel there is the song that shows the dedication of what Roy Tosh is prepared to do to spread the Gospel, showing that life isn't quite like the instagram memories on "What A Year". It could be taken that this is a bit of a moan, but I think it's more about the reality of life as an artist choosing to play simply to win others to Christ. The title track "Above The Water", uses a lot of autotune, something that actually is quite distracting across this whole album. This track gives a great view of the questions that we so often ask about our faith and how we get through each day. Sometimes we don't feel like God is on our side so we cling on to the wrong stuff, or we try and fix things ourselves - sometimes to not drown we have to let go. I have to say that the album at this point feels a bit of a labour to listen to, it doesn't mix things up very much. Thankfully there are a number of collaborations on the second half of the album that lift it up. The first of these is "Underdog" which features Aaron Cole allowing more of a musical feel to invade the album. "Day 1" which features J. Paul is a love song to his wife which has some clever wordplay, but feels a bit flat, especially compared to the tracks that surround it. "Rise" is about the difference between the dream of what we should be and where we are, but knowing that we faithfully follow until this becomes a reality. "First Love" is one of those songs that mixes the romantic idea of a 'first love' and the spiritual idea of Jesus being our first love. For me this songs would be largely quite forgettable if it wasn't for Brianna Caprice's vocals lifting this beautifully. However of all these collaborations it is the final track on the album, "Stronger" that has stayed with me as the real stand out track on the album. Firstly it's a bit more pop based with a lot of guest artist V.Rose being involved. Also there is a real feeling of the strength of feeling behind this song that it really grabs you with it's truth. There are a few good points on this album. 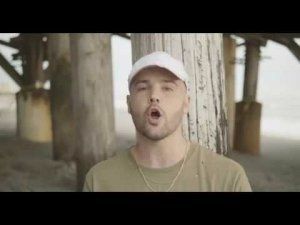 Tracks like "Never2Late" and "Stronger" stand head and shoulders above any of the other tracks here, but Roy presents a good selection which has great focus on it's topic of chasing after Jesus and living like He makes a difference in our lives. However the overuse of autotune and some tracks that lack some flair lyrically make many of the songs a little forgettable. Stronger though is a good base to work from for the future, to compliment the more mature sound of this album.